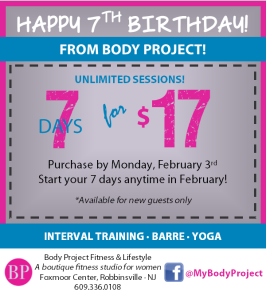 Happy 7th Birthday from Body Project! 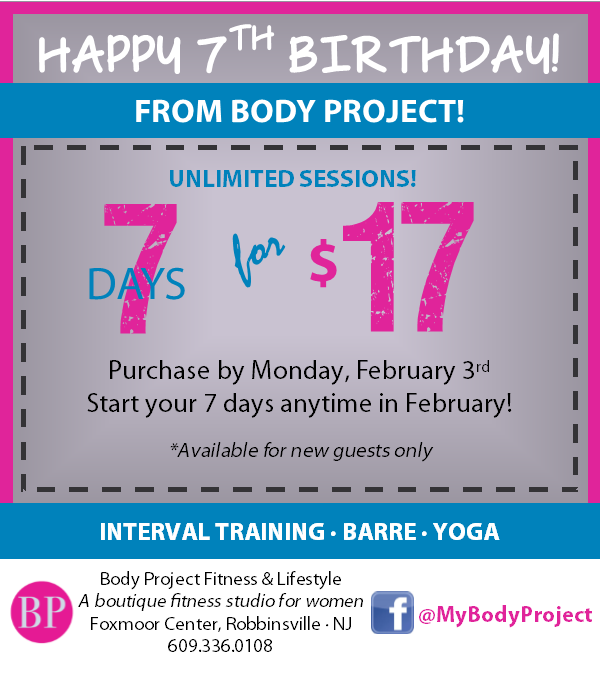 CLICK HERE TO GET YOUR 7-DAY PASS BY MONDAY, FEBRUARY 3RD! Or call 609.336.0108 for more details!